This is the second benefit concert to raise money towards a project to buy a concert piano in London and send it to the Conservatorio Amadeo Roldán music school in Havana. Eralys studied piano in Cuba at the Guillermo Tomas Music Con­servatory, the Amadeo Roldan Conservatory and the Higher Institute of Arts. In London she completed a Masters in Advanced Performance (piano and harpsichord) at the Royal College of Music and a post­graduate course in harpsichord at the Guildhall School of Music & Drama. Sarah-Jane Lewis, winner of 2nd prize at the 2014 Ferrier Competition, graduated from the Royal College of Music in 2009 with First Class Honours and received her MA DipRAM from the Royal Academy of Music in 2013. She completed her studies at the National Opera Studio supported by a scholarship from the Nicholas John Trust and the Countess of Munster Musical Trust in 2014. Sarah-Jane has performed as a soloist at prestigious venues such as St. Paul’s Church Covent Garden, Royal Opera House Covent Garden, English National Opera, National Portrait Gallery, Royal Albert Hall, Cadogan Hall and Mitsunaka Hall in Japan. She won the Kathleen Ferrier Bursary for Young Singers in 2006, Leith Hill Award 2008, Jackdaws Great Elm Vocal Awards 2009, Essex Young Musician of the Year 2010, Major Van Someren Prize 2011, Richard Lewis/Jean Shanks Award 2012, Ludmilla Andrew Russian Song Competition 2013, Hampshire Singing Competition 2013 and 3rd Prize & Art Song Prize at the Mozart Singing Competition 2013. In 2012 she received a place at the George Solti Accademia where she performed for Angela Gheorghiu, Dennis O’Neill and Richard Bonynge. She became a Samling Artist in 2014. 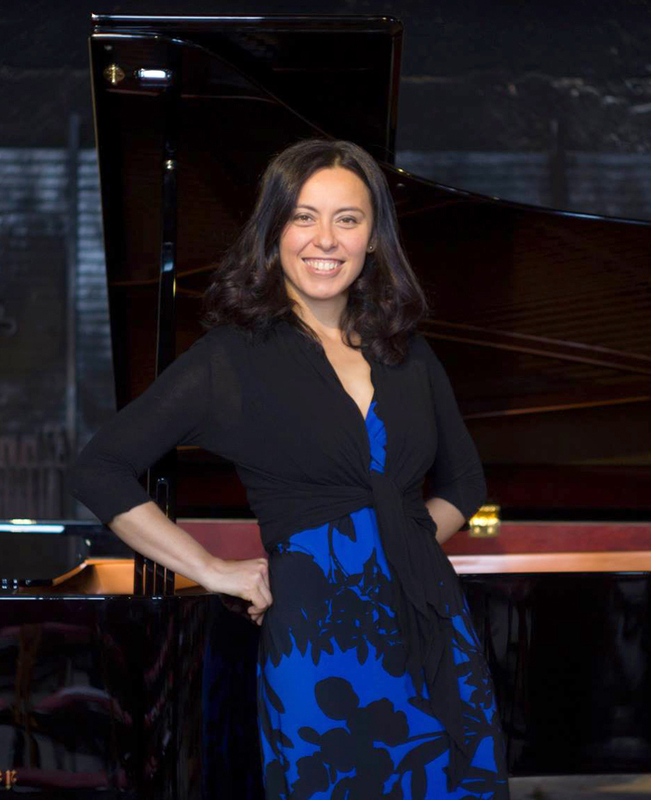 Born in 1978, Magdalena HIRSZ began her musical training in her hometown of Skierniewice, and then continued her education at the Joseph Elsner National School of Music in Warsaw. She received her diploma in piano from the Geneva Conservatory while studying musicology at the Geneva University with a distinguished Professor Jean-Jacques Eigeldinger. Tradicional Cubano is a combination of Flute, Double Bass, Guitar & Percussion, which brings together the most vibrant and iconic musical sounds from vintage Cuba. 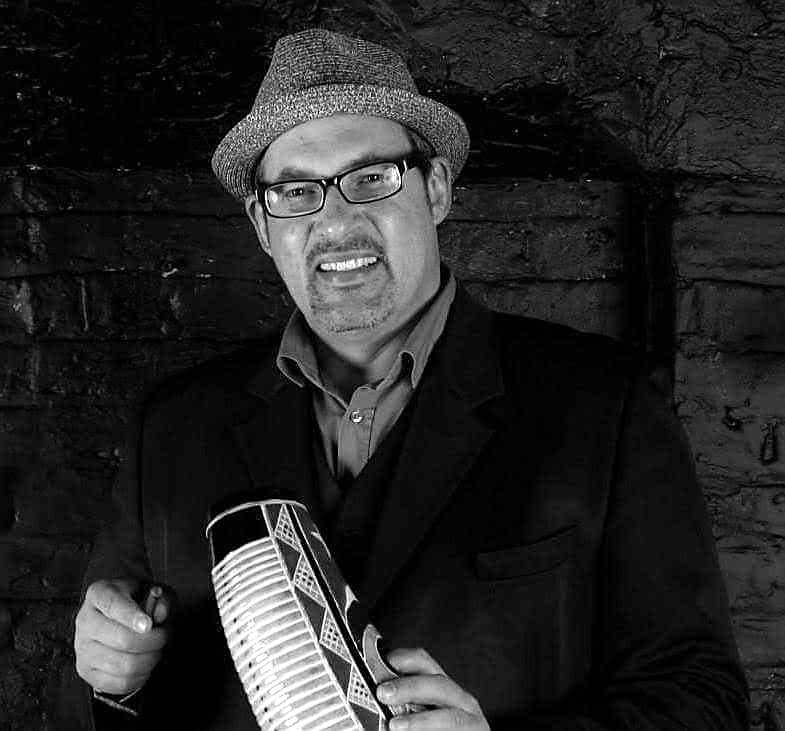 Jose’s Father, Javier Zalba (Buena Vista Social Club Orchestra, Irakere, Cubanismo) has also written specially for the band and performs with them regularly on their UK tours. They have performed in a wide range of venues across the UK including The Pumphouse, Aldeburgh Suffolk, The National Theatre, The Forge, The Cuban Moorgate, The Savoy, The Langham, St James’s Church Piccadilly, St Peter’s Notting Hill, Royal Welsh College of Music and Drama Cardiff, Royal Northern College of Music, Manchester and The Duke of Cumberland in Whitstable, to name but a few! Jose and Tradicional Cubano are much in demand and as well as their performing, they also currently run highly successful educational music projects at colleges such as the Royal Welsh College of Music and Drama, Royal Northern College of Music, Birmingham Conservatoire, Oxford Flute Summer School, Philippa Davies International Flute Summer School and The Scottish International Flute Summer School. Born in 1984 in Havana, Cuba. Jose studied flute and piano at the Alejandro G. Caturla and later at the Amadeo Roldan Conservatory. His flute professors at this time were Erasmo Lopez and Floraimed Fernandez, both members of the Cuban National Symphony Orchestra, Ballet and Opera Orchestras. After auditioning in London, Jose was offered places at the Royal Academy of Music, Royal College of Music, Trinity College of Music and Guildhall School of Music and Drama, the latter offered a full scholarship for the Bachelor of Music Degree, which Jose accepted and commenced in 2003. 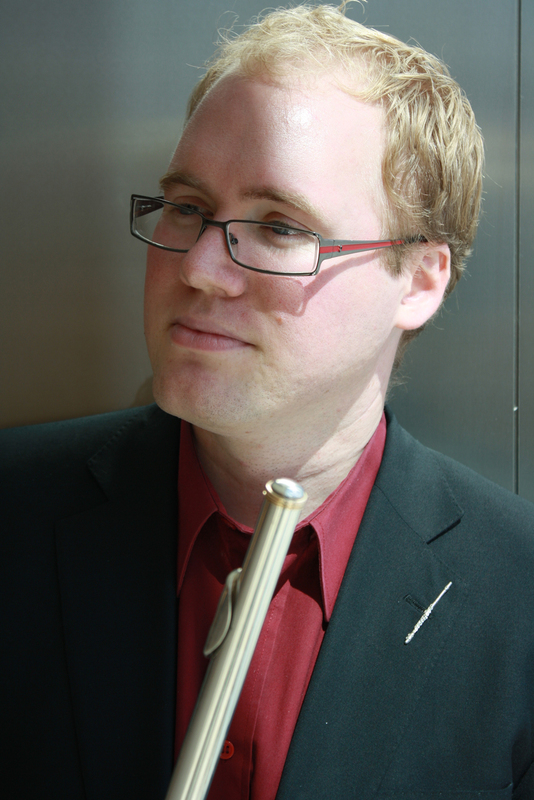 After completion of this degree in 2007, Jose received support from the Society of Knights of the Round Table and the Innholders' Company to continue his studies at the Guildhall School of Music, on their Masters Programme. 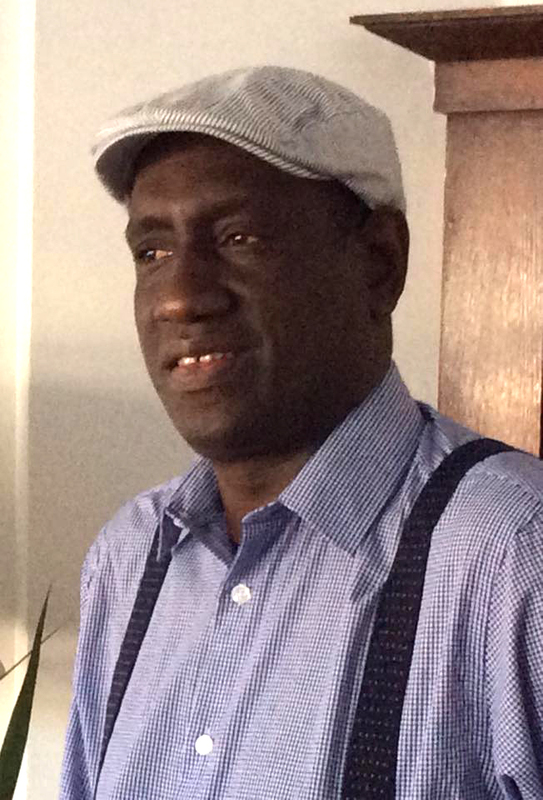 Sergio Marciano Pereda: born in Santiago de Cuba in 1965. Has studied percussion at the Music School “Ignacio Cervantes” in Havana, working as a professional musician since 1989. Has served in different bands including: "Vocal Sampling", "Jovenes Clasicos del Son” and “Traje Nuevo”. Has also performed in countless tours of over 20 countries throughout Europe, Latin America and North America. 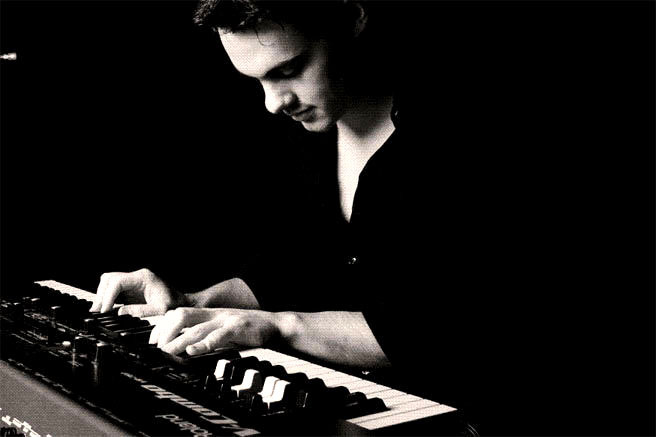 After moving to the UK in 2014 Sergio is on demand as a record producer and session musician. Daniel Carnago: born in Santiago de Cuba in 1985, he studied guitar in the School of Art Jose Maria Heredia, Santiago de Cuba. 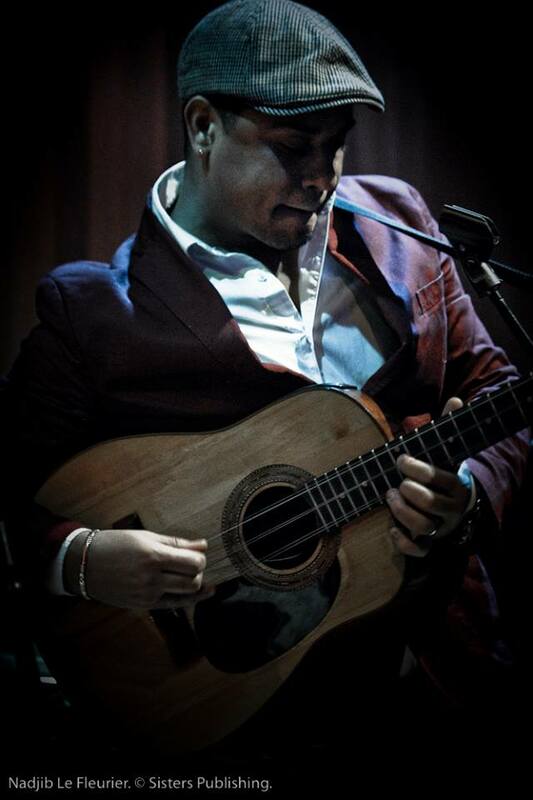 After graduating in 2000 he took the double bass as a second instrument, graduating with a first class degree from the Cucalambe Conservatoire, Las Tunas, Cuba. He took part in many festivals and competitions winning Second Prize at the National April 4th Music Competition, Las Tunas. As well as a player, Daniel starts composing in 2002 successfully and gets to write for the Radio and Television music production programme. During this time he also works with several groups in Cuba as a tres player: Son de Santiago, Septeto Contemporaneo , Son Chevere to mention some. 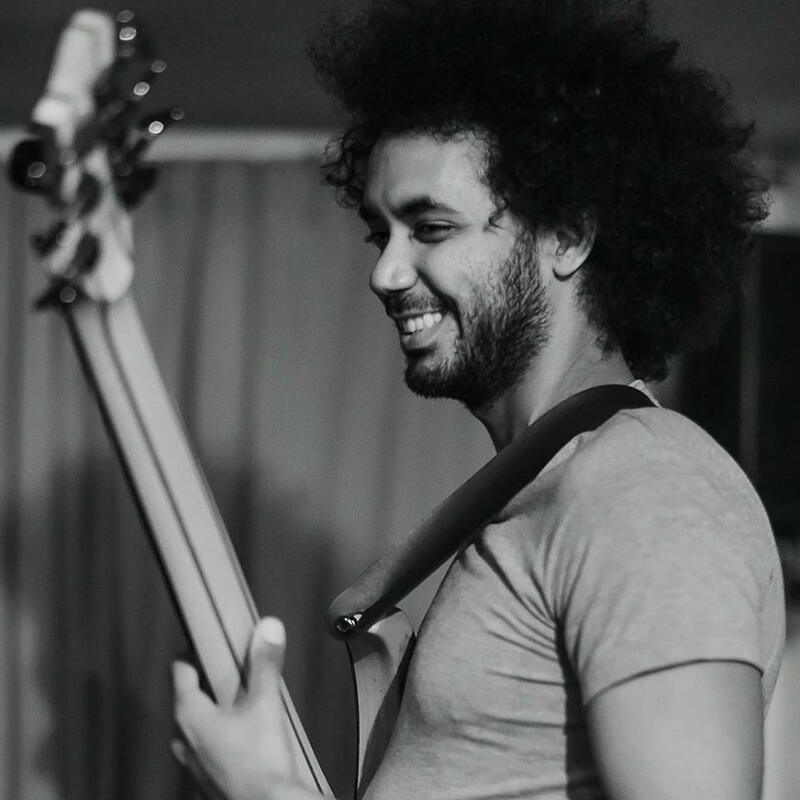 After moving to the UK in 2012, he is on demand as a double bass, tres and guitar player, performing in Latin, Salsa, Mariachi and Latin Funk bands. Quartet Voluté combine the high calibre and brilliance of classical virtuosity, with the diversity, fluidity and creativeness of improvising Jazz musicians. Born in Spain, Elena began learning the violin at age seven with professor Ara Vartanian and gave her debut solo recital aged 8 in Fuengirola (Málaga). Since the age of 9, Elena has been performing with orchestra. In 2001, she joined the Málaga Soloists Youth Orchestra, with whom she gave numerous concerts performing a varied programme as a soloist, which included concertos by Vivaldi, Bach, Komarowsky and Accolay among many. Since then, her solo career has already led her to undertake a number of concert tours around Europe. Catherine has performed in venues including the Wigmore Hall, St. James's Piccadilly, St. Martin-in-the-Fields, the Royal Opera House and the South Bank Centre. She regularly participates and performs in international music festivals and summer academies such as the Courchevel Summer Academy, the European Music Academy Bonn, Naples International Chamber Music Festival, the Russian Music Festival, the Thuringen Summer Academy, Bruges Academy and the Lenk Summer Academy. Californian piano tuner Ben Treuhaft set out for Cuba with 25 pianos and a brigade of piano tuners, defying the US blockade of the island, to help address the shortage of pianos in the country, which is famed for its music. Tuning with the Enemy is the story of that trip. It is a captivating, humorous and moving film with great views from Cuba and Cuban musicians. 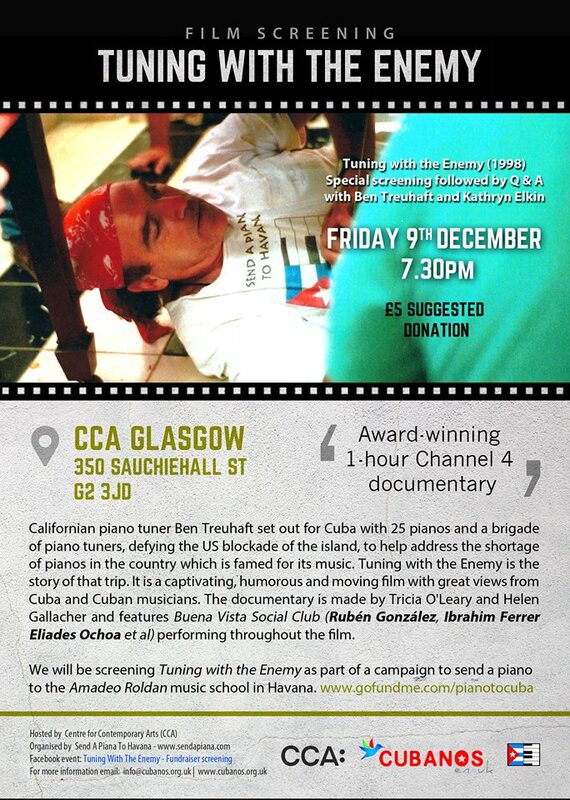 The documentary is made by Tricia O'Leary and Helen Gallacher and features The Buena Vista Social Club (Ruben Gonzales, Ibrahim Ferrer Eliades Ochoa et al) performing throughout the film. This is a benefit concert to raise money towards a project to buy a concert piano in London and send it to the 'Conservatorio Amadeo Roldán' music school in Havana. Eralys studied piano at the Guillermo Tomas Music Con­servatory, the Amadeo Roldan Conservatory and the Higher Institute of Arts in Cuba. In London she completed a Masters in Advanced Performance (piano and harpsichord) at the Royal College of Music, and a post­graduate course in harpsichord at the Guildhall School of Music & Drama. World class violinist with a strong reputation in the classical and jazz genres with several albums. He was first violin with the Cuban National Symphony Orchestra, and toured with Buena Vista’s Ruben Gonzales. He has taught in Britain's most prestigious music colleges, as well as in Cuba, and published a university level textbook on Cuban Jazz. He is currently developing a unique strand of Jazz that is to come out in a new album. Al MacSween is steadily gaining a reputation for his creativity, versatility and innovative approach to the piano. His studious attitude and desire to communicate through different musical languages has led to collaborations with artists such as Omar Puente (​Rubén González​​​​​​​​​​​​​​​​​​​​​​​​​​​​​​​​, Courtney Pine), Shankar Mahadevan (Shakti), Ruby Turner, Grammy award-winner Bickram Ghosh (Ravi Shankar) and a host of other international artists, including the late Abram Wilson, Claude Deppa, Tony Kofi, Pee Wee Ellis, London Community Gospel Choir, Dennis Rollins and many more. 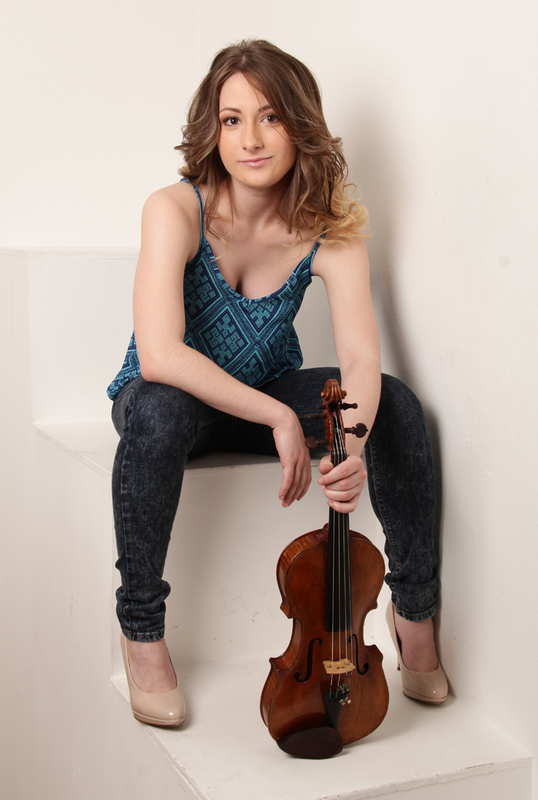 Beatriz Carbonell Granada is a passionate and creative violinist and teacher based in London. She entered the prestigious Conservatorio Superior de Musica de Aragon in Saragosse at the age of 17, completing the Bachelor degree with Pablo Suarez, leader of La Scala of Milan. In Spain she has performed at many major venues as part of both youth and professional orchestras. She has participated in masterclasses with Nicolas Chumachenco, Massimo Quarta, Catalin Bucataru and The Wihan Quartet, among others. 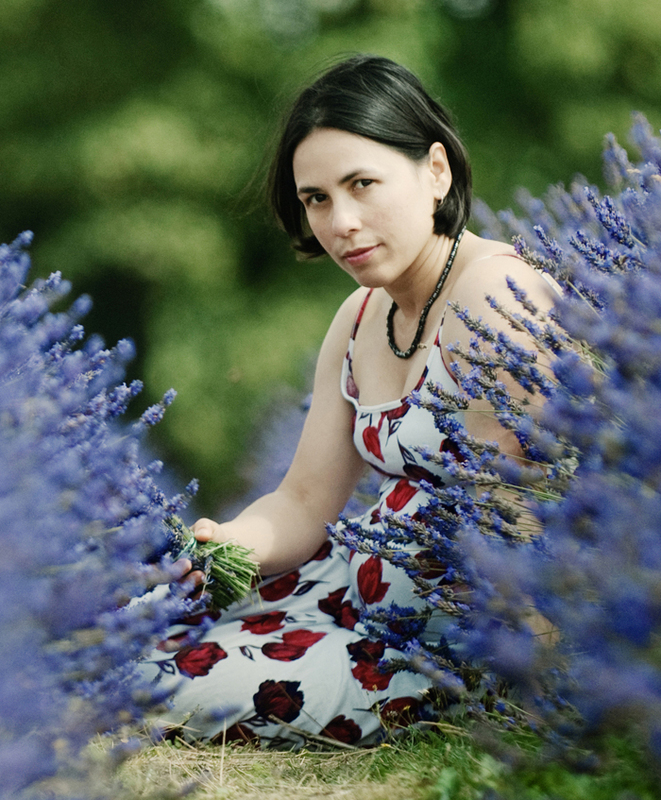 Beatriz studied quartet with Cuarteto Quiroga, and is a member of the London based Isbilia Quartet. She completed her postgraduate level studies at Trinity Laban Conservatoire of Music and Dance, in London, with Professor Michael Bochmann, obtaining a Distinction. Nandita graduated with a First Class Honours degree in Music from King’s College London in 2009. Whilst at King's, she studied violin with Diana Cummings at The Royal Academy of Music, before gaining a Masters in Violin Performance at Trinity Laban Conservatoire of Music and Dance. During her time at college, Nandita performed in masterclasses with a number of distinguished violinists including Tasmin Little and Andrew Haveron, as well as the Wihan Quartet and Carducci Quartet, and was awarded the Charles Proctor Prize for Choral Conducting in 2014. Nandita is currently studying for a Postgraduate Artist Diploma in Violin Performance as a Trinity College London Scholar and a Trinity Laban Scholar, continuing her studies with Clare Thompson. 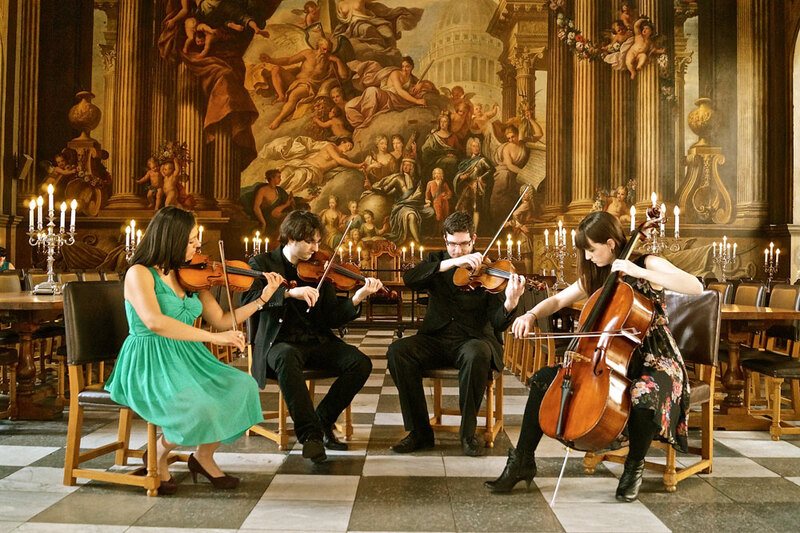 Nandita also performs regularly with her string quartet - The Camilli String Quartet - who were recent winners of the Trinity Laban John Barbirolli String Quartet Competition 2015, and were also awarded a place on the Richard Carne Chamber Mentorship Programme last year. Elin is currently working towards a Master’s Degree at Trinity Laban Conservatory of Music and Dance, studying with renowned violist Rivka Golani. During her time there she has won First Prize for the Vera Kantrovich Solo Strings Competition 2014 and twice won the John Barbirolli String Quartet Competition. 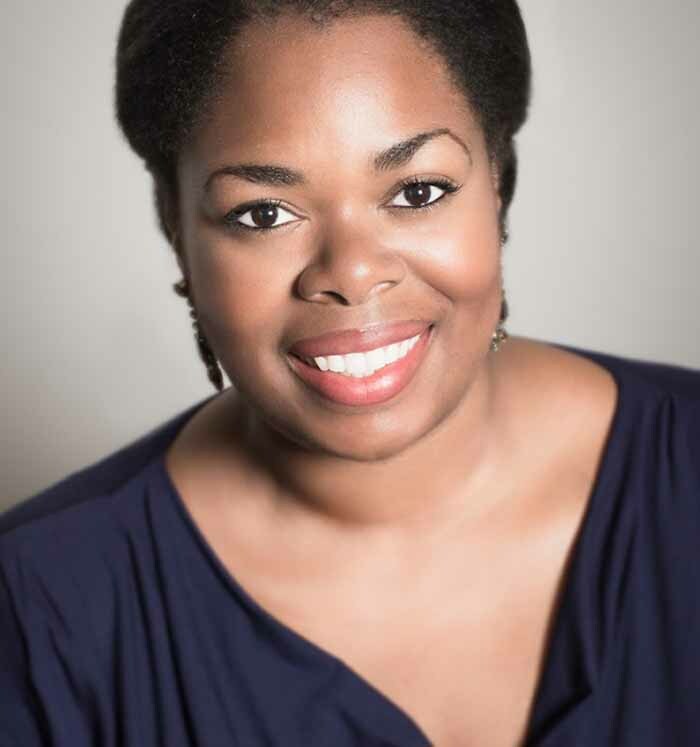 She is a keen orchestral musician, playing with ensembles including the Trinity Laban String Ensemble, the London Firebird Orchestra and the International Regional Orchestra. Alice Sophie is a Cellist based in London and currently undertaking her Masters Degree at Trinity College of Music and Dance. 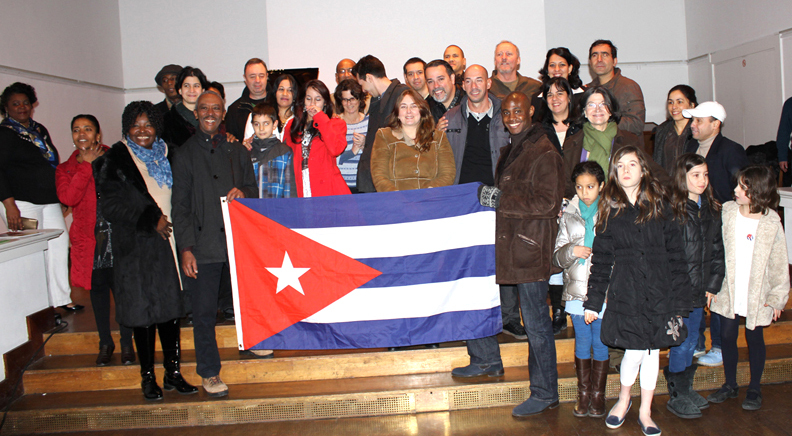 La asociación de Cubanos en UK invita a todos los cubanos y cubanas a participar en el VI Encuentro Cubanos Residentes en el Reino Unido 2015. Como en años anteriores miembros de la comunidad cubana en Gran Bretaña han venido reuniéndose con el propósito de continuar fortaleciendo los lazos y el intercambio entre los cubanos radicados en este país. El espacio es limitado y necesitamos poder organizar el local de acuerdo al numero de personas. What a tremendous full-on Cuban year it’s been! The cream of Cuban bands playing live in our gorgeous capital. Thank you so much for your love, support, and for sharing our passion for Cuban music. We’ve had Pupy Y Los Que Son Son – SOLD OUT! 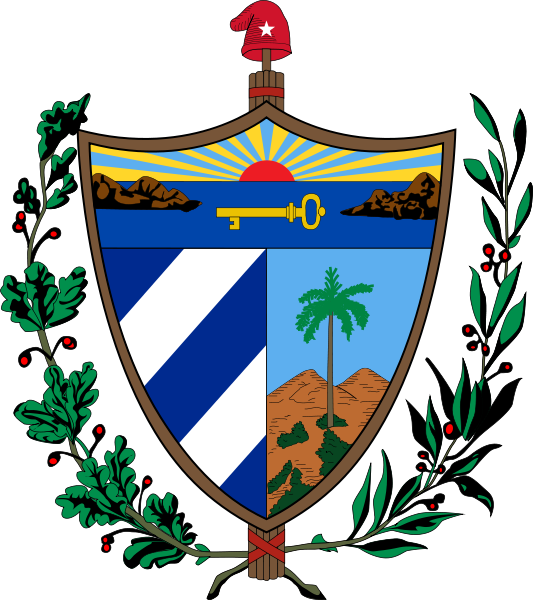 We’ve had Alexander Abreu Y Havana D’ Primera – SOLD OUT! And now, just when you thought it was all over, Havana To Londres is thrilled to present your very special CUBAN WINTER TREAT – the UK debut of the one and only ELITO REVÉ Y SU CHARANGON! Supported by the UK’s top specialist Cuban DJs: Rich, Jim & Javier. PLEASE! BEFORE YOU READ ON, THERE ARE ONLY 500 TICKETS AVAILABLE. THIS CONCERT WILL QUITE DEFINITELY SELL OUT. ACT NOW. MAKE SURE YOU ARE AT THE CUBAN EVENT OF THE WINTER. BEAT THE ONLINE BOOKING FEE & GET YOUR TICKETS DIRECTLY FROM THE CONCERT DJS FOR THE ADVANCED PRICE OF JUST £26. Elito Revé Y Su Charangon are a much-loved Cuban powerhouse of popular dance music. And have been for 49 years! Elito’s father, Elio Revé Matos, an outstanding figure in Cuban music, founded the original Revé y su Charangón in 1956, his son Elito taking over the band on the death of his father in 1997. Many of Cuba’s musical luminaries that we know and love served apprenticeships in the original Revé orchestra. Amongst them Chucho Valdés who went on to form Irakere, and Juan Formell, who, along with Pupy, went on to form Los Van Van, two groups who were pivotal in laying the way for the wonderful Timba explosion of the nineties. Under Elito’s leadership El Revé has grown from strength to strength, deservedly achieving it’s position as one of Cuba’s top bands, much loved by Cubans and Europeans alike, with a distinctive, exciting and highly popular sound. A sound which, for the most part, is built around Changüí, the thrillingly infectious predecessor of Son Montuno and Salsa that has its origins in Cuba’s Eastern provinces. This driving rhythm is skillfully mixed with Afro-Cuban elements, and their own spicy contemporary Timba flavor. And has produced some mighty anthems, driving Cuban dancers delirious with joy over the years. I can promise you, you will have been on cloud nine dancing your socks off to some, if not all, of them: Agua Pa’ Yemaya; Mi Amiga Chi Chi; Esa Soy Yo; Mi Salsa Tiene Sandunga; El Jala Jala; No Me Da La Gana; El Nombrecito; ¿De Que Estamos Hablando? ; 1999; Fresquecito ; Se Sigue Comentando; El Teléfono – the list goes on and on! 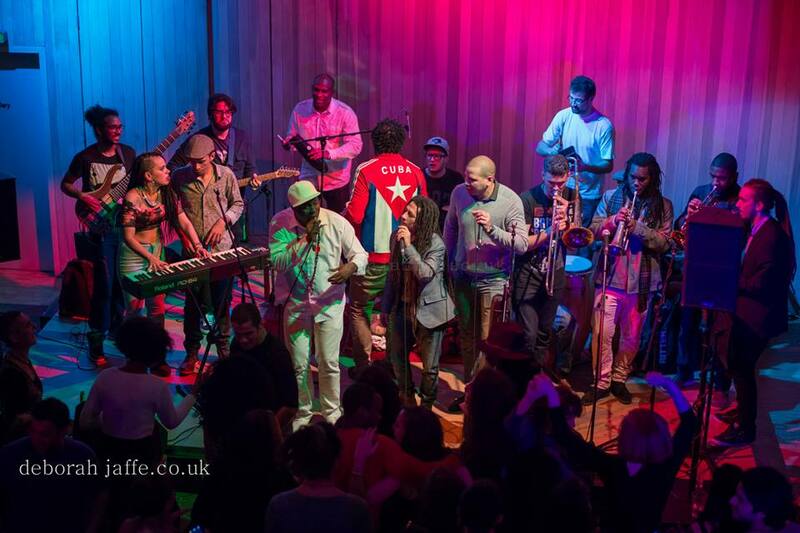 Make sure you are there at the Live Cuban Event of The Winter to enjoy this incredible band live for the first time in London. It will be a magical night. MAKE SURE OF YOUR TICKETS AND BUY NOW FROM THE OFFICIAL SELLERS. VENUE CAPACITY IS 500. ONCE THEY ARE SOLD, THERE WILL BE NO MORE AVAILABLE. We are located opposite Tufnell Park tube, a five minute walk from Kentish Town Station and Upper Holloway Overground with Gospel Oak a 10 minute walk away. Bus routes are 4, 134, 390 and N20. Several more routes terminate at Kentish Town Station and Archway Station. Sambroso Sambroso brings a very special Sunday session to The Forge for the London Jazz Festival featuring some of the finest Cuban and jazz musicians London has to offer. The Sambroso All Stars kick off proceedings, serving up a feast of the finest Cuban grooves with a jazz flavour and featuring Omar Puente, Roberto Pla, Justin Thurgur, Nick Smart, Chris Montague and all led by Oreste Noda. The party continues with Gerardo De Armas & Su Rumbache, blessing us with their rootsy concoction of Afro-Cuban drumming and singing, led by renowned rumba master and ex-Yoruba Andabo singer Gerardo de Armas. For this special performance, Gerardo will be joined by bassist Gary Crosby, saxophonist Denys Baptiste, pianist Jonathan Idiagbonya and trumpeter Jay Phelps. The evening culminates in an almighty Cuban Jam featuring all the above artists and probably more! Throughout the day, DJs Joel Verdecia (El Flecha) and Javier 'La Máquina de Cuba' will be keeping your feet busy with their top selection of Cuban tunes, plus rumba classes from Damarys Farrer and Idalberto Alcala and traditional Cuban food. Join us for a special screening and party to celebrate 25 years of LLAFF. 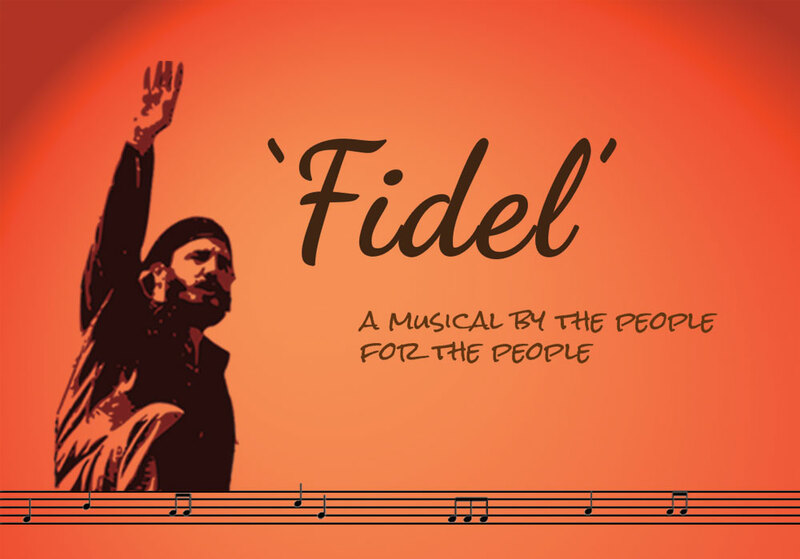 As well as films, there will a raffle draw, merchandise, drinks, Cuban food available all day and music into the evening. 1. HUMBERTO - Dir. Carlos Barba Salva, Cuba / Mexico / Spain / USA, 2014, colour, English subtitles. 2. THE FIRST SUMMER / O PRIMEIRO VERAO - Dir. Adriano Mendes. Portugal, 2014, colour, English subtitles. 3. FORBBIDEN FLIGHTS / VUELOS PROHIBIDOS - Dir. Rigoberto Lopez. Cuba, 2015, colour, English subtitles. 4. NOT SO MODERN TIMES / TIEMPOS MENOS MODERNOS - Dir. Simon Franco. Argentina / Chile, colour, English subtitles. 5. ME DICEN CUBA - Dir. Pablo Massip, Cuba, 2014, colour, English subtitles. 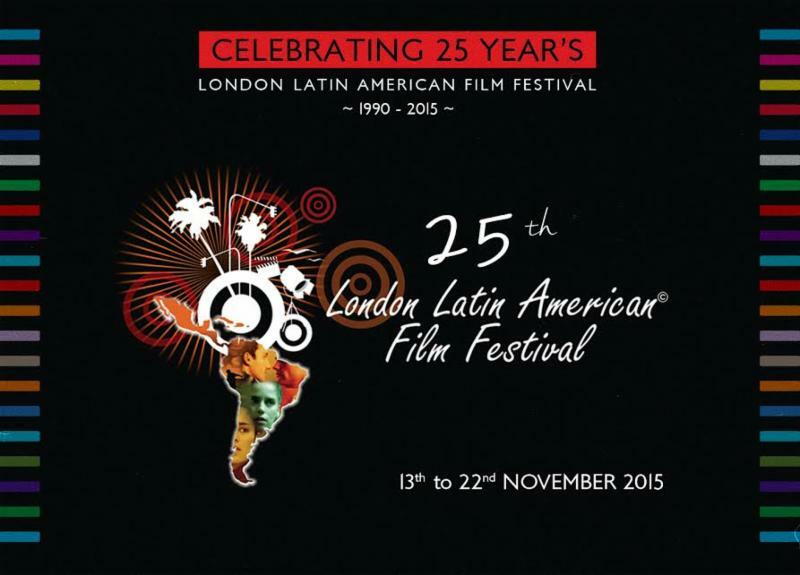 We are delighted to announce that Morenada Bolivia Unida (https://www.facebook.com/morenadaboliviaunidalondon) will be performing on Saturday 21 November during the special event to celebrate 25 years of The London Latin American Film Festival. The event is free. Don’t miss it! For more info visit: https://www.facebook.com/TheLdnLatamFest.LAFF and Twitter https://twitter.com/llaffestival and keep up to date with our latest news! Peña en Pradera (Party in Pradera). 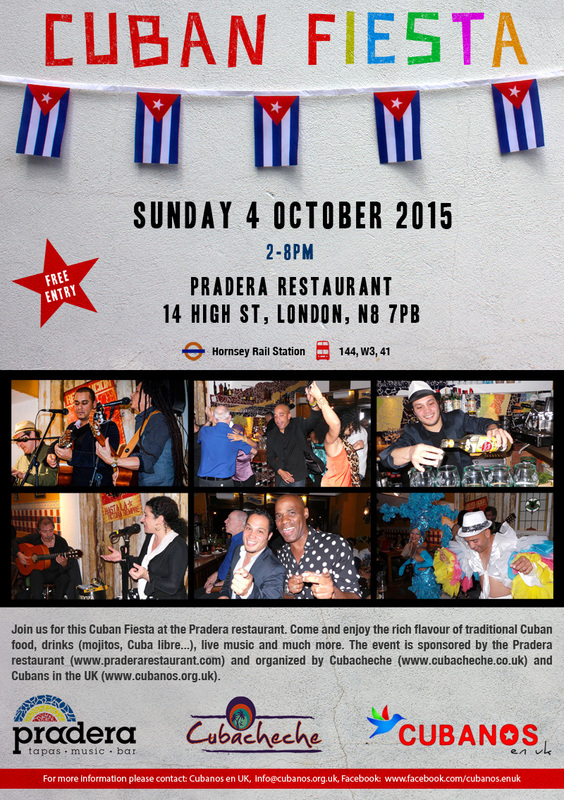 Join us for this Cuban Fiesta at the Pradera Restaurant. 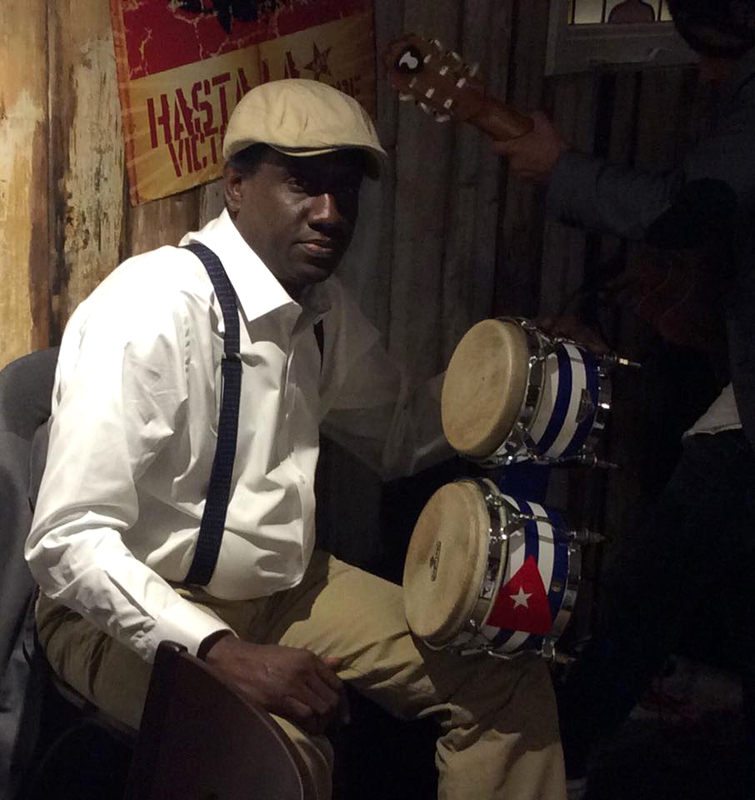 Come and enjoy the rich flavour of traditional Cuban food, drinks (mojitos, Cuba libre...) and all this will be accompanied by the rhythm of Cuban Son with contagious music from the group Tumbao Tivoli. Don't miss Gabriel Temo's special Chilindrón de Chivo (stewed goat) cooked in Santiago de Cuba Creole style. CONFIRMED! The long awaited, and highly anticipated return to the UK of the one and only Alexander Abreu Y Havana D’ Primera! BEAT THE ONLINE BOOKING FEE AND BUY YOUR TICKETS DIRECT FROM THE CONCERT DJS NOW: RICH, JIM & JAVIER. Prices: Adv - £26; On The Door - £30. Alexander Abreu y Havana D' Primera are an extraordinary musical force of nature who, since their formation in 2008, have taken the world by storm. Three albums in, and their hugely popular hits, Pasaporte, Al Final De La Vida, Despues De Un Beso and Me Dicen Cuba, to name but a few, are loved across the Latin world, and in Europe and the States as much as they are in their native Cuba. 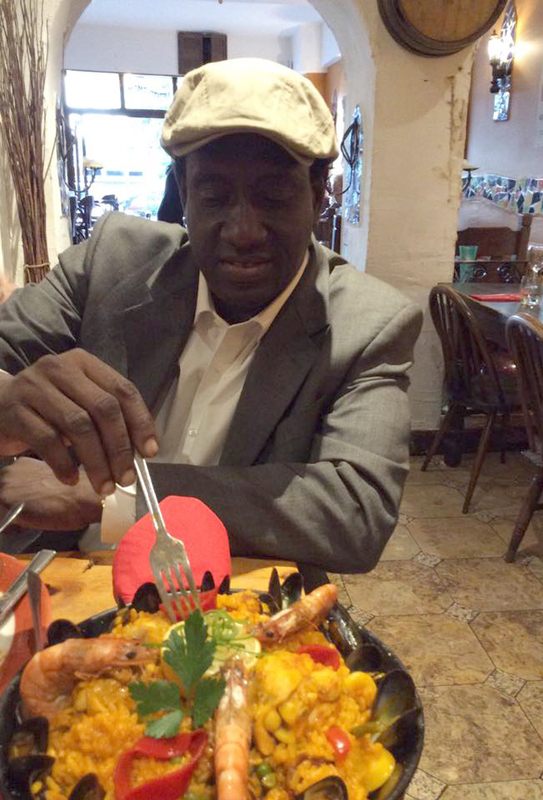 Have you heard of Gabriel Temo and his Chilindrón de Chivo (stewed goat)? On 4th October between 2-8pm you can enjoy a 'Peña en Pradera' (Party in Pradera) with the rich flavors of Temo’s food cooked in Santiago de Cuba Creole style. The restaurant will also be serving its best cocktails (Mojitos, Cuba Libres…) and all this will be accompanied by the rhythm of Cuban Son with contagious music from the group Tumbao Tivoli. In the Pradera restaurant you can also enjoy traditional tapas and paellas. Don’t miss this and much more. We look forward to seeing you there! 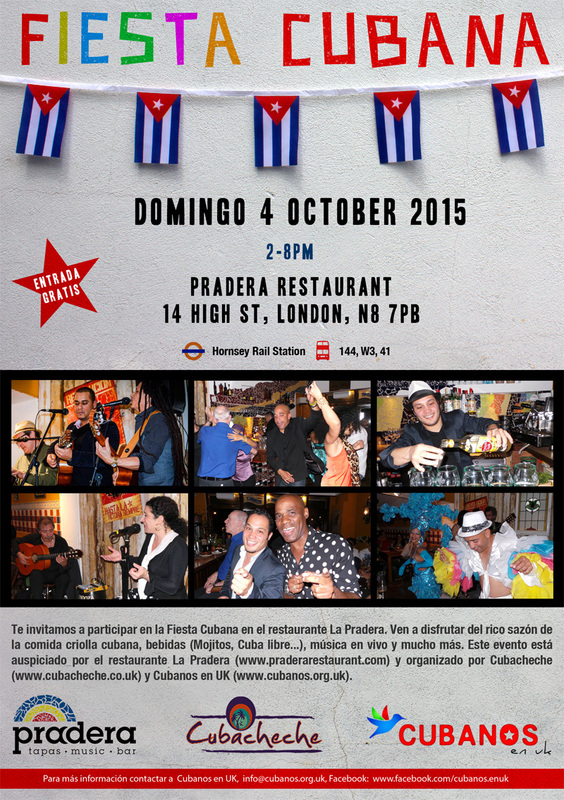 This Cuban fiesta ‘Peña en Pradera’ is the first in a series of events that will take place in Pradera restaurant. Alguna vez has escuchado de Gabriel Temo y su chilindrón de Chivo? El próximo 4 de octubre de 2-8pm podrás disfrutar de una agradable ‘Peña en Pradera’ con el rico sazón de Temo, y su comida criolla al estilo santiaguero. Acompañado de los mejores cocteles del restaurante, (Mojitos, Cuba libre...) y el ritmo del son cubano con el grupo Tumbao Tivoli, quienes traerán sus contagiosa música para cantar y bailar. En el restaurante Pradera también podrá disfrutar de sus tradicionales tapas y paellas. No te lo pierdas, esto y mucho más. Te esperamos! Esta fiesta cubana ‘Peña en Pradera’ será el comienzo de una serie de eventos que tomaran lugar en el restaurante Pradera.